On February 26th, 1980 a legend was born and on April 2nd, 2019 at the age of 39, Devin Edward Attebery ‘slipped the surly bonds of Earth’ following a courageous 4.5 year battle with colon cancer. While we mourn Devin’s passing, we are forever changed for the better having known and loved him. Devin was born in Ogden, Utah to Margaret (Stromberg) and Gary Attebery; the youngest of four siblings and the only boy in the family. 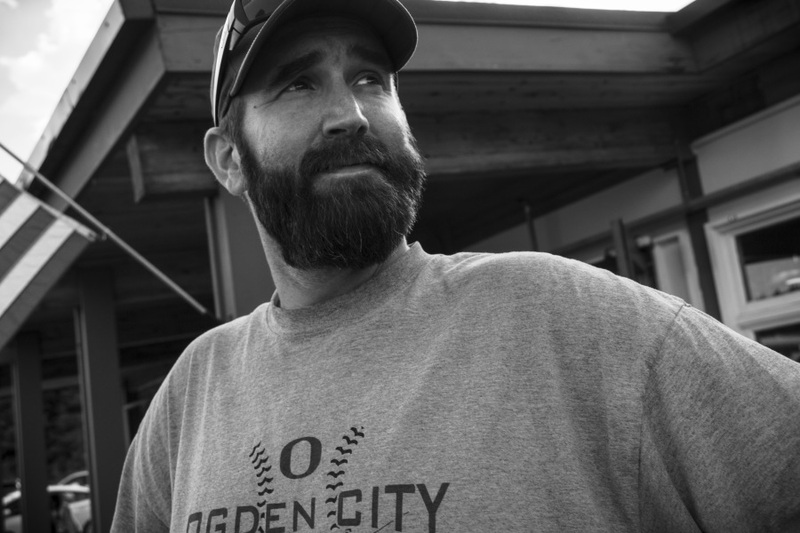 He grew up in North Ogden, Utah and attended North Ogden Elementary, North Ogden Jr. High and Weber High School. He was raised a member of The Church of Jesus Christ of Latter-day Saints and enjoyed many amazing scouting adventures as a member of the North Ogden 9th Ward. The summer nights of childhood were spent with friends and neighbors playing night games or basketball by porch light in the driveway. He had a great love of the outdoors, spending family vacations at Lake Powell where he learned to swim and dive; or camping and horseback riding in the mountains of Franklin Basin. In 1999, Devin married Amanda Perry. Though they later divorced, they blessed our family with three amazing kids; Garrett, Lucas and Kaycee. In August 2008, Devin married his soulmate, Bridgett Tasker and became a loving step-dad to Kaylie. He often referred to himself as Kaylie’s “biggest fan”. Devin fit into the Tasker clan like a hand in a ball glove. Along with Devin’s family, they loved, embraced and supported him through difficult times none of us were prepared to face. Devin was an avid sports-lover and competitor. He loved RSL and the Green Bay Packers - and of course, the Utah Jazz. He played on many championship co-ed and men’s softball teams and grew to love and even play soccer with Bridgett. In November of 2014, Devin was diagnosed with a rare and aggressive form of colon cancer. He was determined to beat it, and he did. Stuart Scott once said, “You beat cancer by how you live, why you live and the manner in which you live. So live, live, fight like hell and when you get too tired to fight, then lay down, rest and let someone else fight for you.” Devin lived larger than life from the very beginning. He beat cancer every day that he fought through chemo or another surgery, swam with dolphins in Mexico, drank a beer over a campfire in his beloved mountains or grand slammed a softball over the fence…again. Most importantly, he beat cancer by the way he loved and honored his family, the only thing he loved more than softball. Devin is survived by his wife and best friend, Bridgett Tasker and children Kaylie, Garrett, Lucas and Kaycee. He is also survived by his parents Margaret and Gary Attebery, sisters Teresa (Rodney) Betzer, Melinda (James) Walker and Joey Thurgood, in-laws Steve and Sally Tasker, and countless other loving family and friends. He is preceded in death by his grandparents, Betty and Edward Attebery and Edwin and Cora Stromberg and his uncle John Stromberg. Grandma Stromberg and Uncle John also fought valiantly against colon cancer and were waiting to greet Devin when his battle was done. The family would like to thank our amazing medical team for giving us four more years with Devin. Thanks to Dr. Megan Grunander, Dr. Tyler Christensen, Dr. Carl Gray and the entire staff at Utah Hematology Oncology, and the countless numbers of nurses who became our extended family. We would also like to thank Devin’s softball and soccer families who offered so much love, support and more importantly, tons of amazing memories that we will cherish forever. And finally, thank you to Bridgett, Kaylie and Devin’s mom for the many hours spent caring for and loving Devin until he was finally ready to rest.